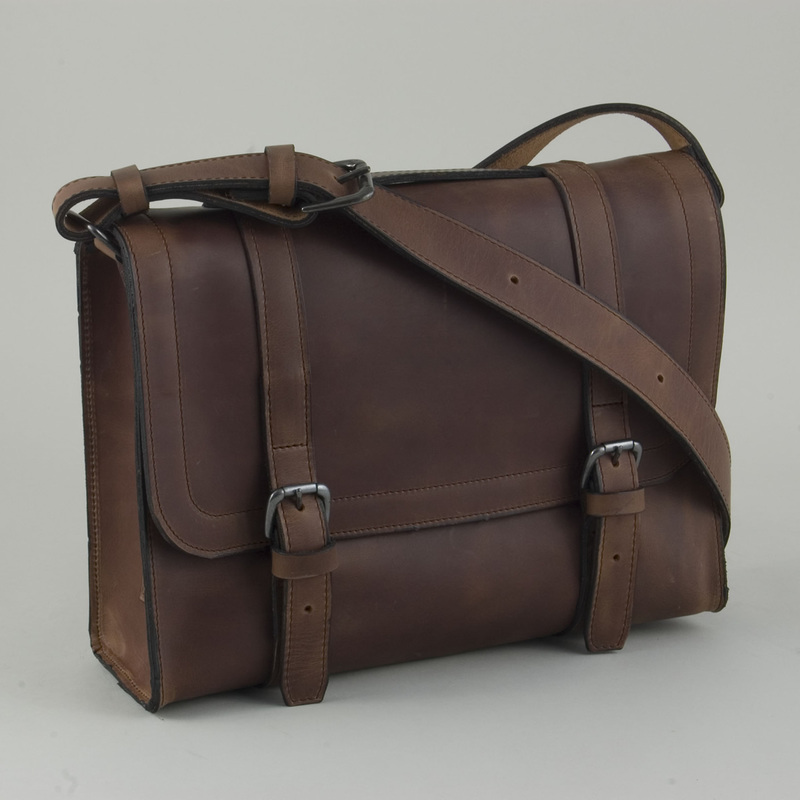 Henry makes the small satchel from the same grade and weight of full grain leather and robust construction as the large handmade leather satchel. 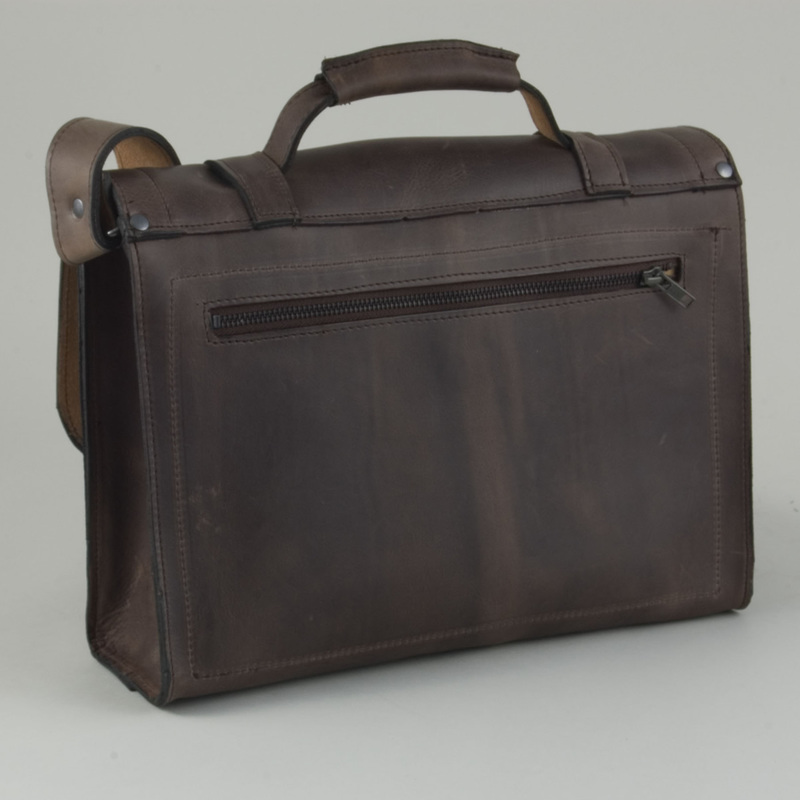 Not roomy enough for a conventional laptop but can accommodate the iPad and A4 paper (but not an A4 file). Its smaller size makes it appropriate to serve as a handbag. 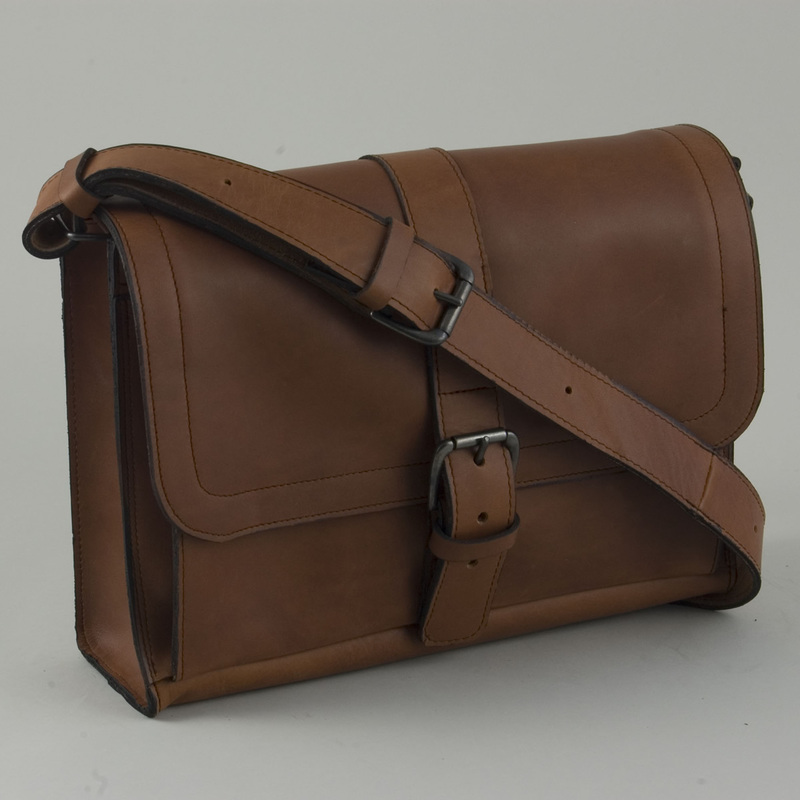 The shoulder strap is 1.5″ / 38mm wide and made from a double thickness of leather and is adjustable down its whole length. 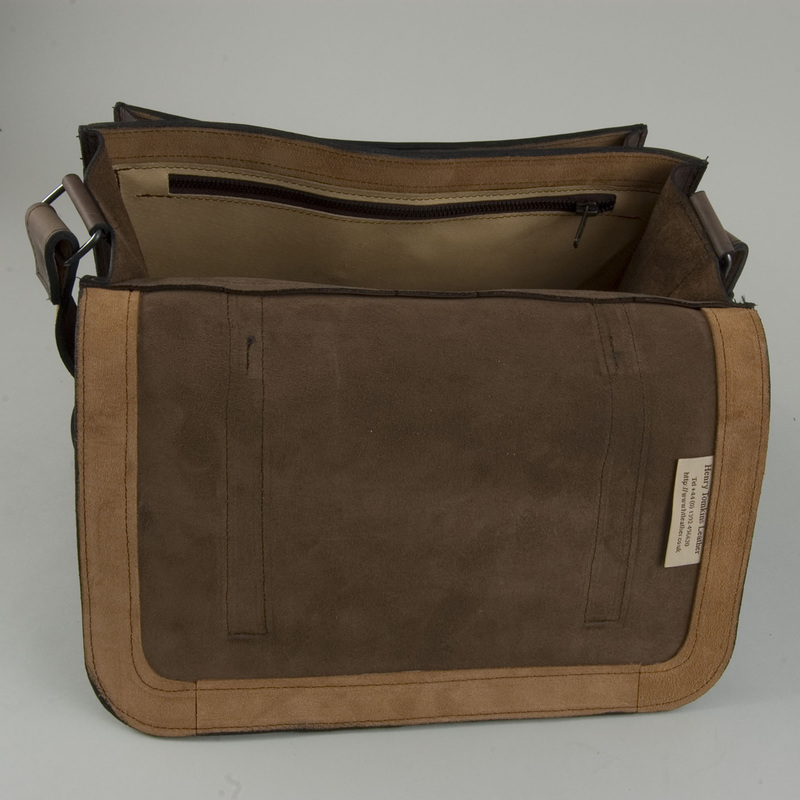 The basic bag is an empty shell with a single front buckle closure, and back zip sleeve. If, however, you want to customise the design by adding one or other add-on option, the price would change accordingly. You can specify any changes you want in the ‘queries/requests’ box in the order form which Henry will confirm by personal email. Double front buckle with integrated flat grab handle +£25. Upgrade to raised handle +£5. 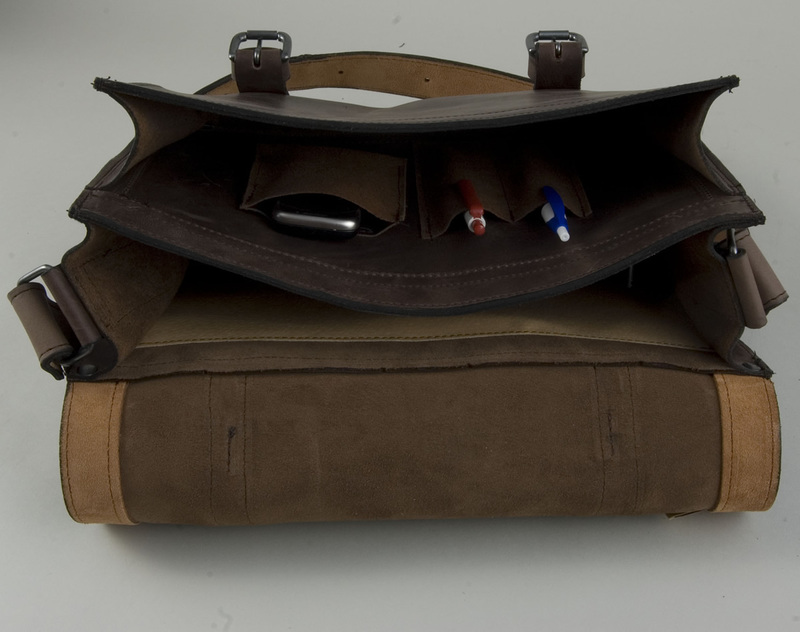 Front pocket feature including pen slots, phone pouch and internal zip pocket +£40. 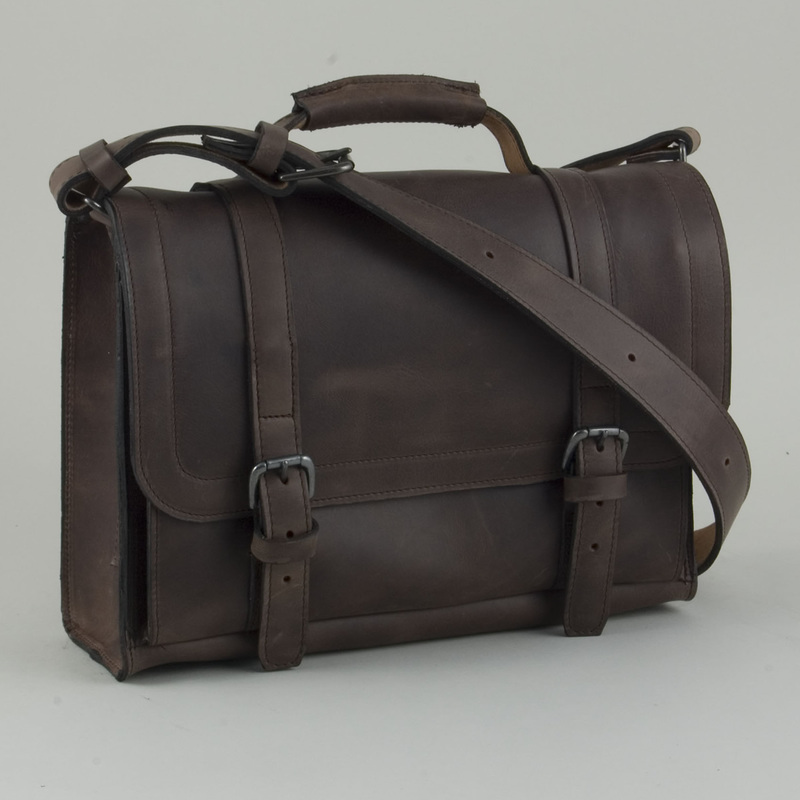 You can stipulate the length of the shoulder strap (measured from the top of the bag, up, over, and back to the top of the bag) for no additional charge.